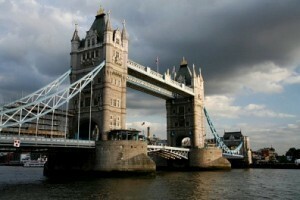 Britain is one of the top destinations for American expats. It is part of the United Kingdom which includes Britain, Northern Ireland, Wales, and Scotland. Britain extends from the English Channel all the way up North to Scotland. Its many large cities include London, Liverpool, and Manchester. Rather than visiting other parts of the UK, expats usually make large cities in Britain their destination of choice. Britain is perhaps the top destination for American expats due to its high living standards, rich culture, incredible architecture, university system, and thriving economy. Also, besides sharing the same language with America, it is fairly easy for Americans living on the east coast to get to Britain. Britain’s climate is classified as temperate. Britain is not the place for anyone looking for lots of sunshine. However, temperatures are usually mild, except for the winter time which may get a little chilly. The winter can also get cold with temperatures hovering around the freezing mark. Snow is common in Britain, but not in the huge amounts typical of many parts of the US. During the summertime, temperatures can reach into the 80’s, but are generally cooler with highs in the 70’s. Cloudy days and precipitation are very common, with rain occurring almost daily. West Britain is more prone to rain due to the close proximity of the Atlantic Ocean. Britain is classified as a constitutional monarchy with a parliamentary component. The Prime Minister is in charge of the executive branch. Britain does not have a written constitution. It is one of only a few countries in the world that rely upon tradition and various laws handed down over the years. Britain is the major powerhouse of the UK in both population and economy. Britain has an extensive industrial infrastructure, a wonderful culture, amazing architecture, museums, interesting traditions, and a long, interesting history. Americans who want to become British residents need only follow a very straightforward and simple process. Americans only need a passport to enter the UK. Americans who visit Britain may stay for a generous 6 months. Any American who wants to go to Britain as a student, an employee or for entrepreneurial reasons goes through a very straightforward process. More information about British/UK visa requirements can be found at the British Embassy in the United States or the United States Embassy in London. In addition to income taxes, there are other extremely high taxes such as a Value Added Tax (VAT), a tax on insurance contracts, and a vehicle tax. There are also lots of taxes that one should be aware of in London. In fact, just driving into London’s center requires the payment of several pounds. Britain’s health care system is regarded as being above average. In fact, Britain is generally ranked high for its medical facilities, training of health care professionals, and access to healthcare by its citizens. British residents can access the health care system via the NHS (National Healthcare Service). The NHS is a universal healthcare system that is paid for predominantly through taxes. For those on NHS, the cost of care is usually free at the point of service. Britain also has private doctors and facilities and many residents purchase private medical insurance. Private medical insurance is usually used to supplement their already comprehensive coverage. Tourists should purchase private health insurance or travel insurance with a healthcare component. Expats employed in the UK, entrepreneurs who pay taxes there, and exchange students, should be able to receive medical coverage through NHS. The cost of real estate in Britain is notoriously high. Some of the priciest homes in the world are found in London. For instance, a one room apartment in a high demand area in London will cost several hundred thousand US dollars. In other areas of Britain, prices are moderate, but still considered high for many US markets. Most apartment and house prices are comparable to top real estate markets in the US such as New York City, San Francisco, and Orange County, California. Renting an apartment is not much cheaper than purchasing one. High rent and lease rates can be attributed to the strength of the British pound. The pound has had a steady rate of about 2 to 1 against the US dollar for a couple of years. It is probably best for visitors on a small budget to share a room with some friends. However, even with a few flat mates, one person’s share can cost between US$400 and US$500 per month. Shopping in Britain is a pure joy. No matter what items shoppers seek, they can usually find them with ease in Britain. Anyone looking for top names and luxury products should make London their first stop. Other parts of Britain are well stocked as well. London’s nightlife and entertainment ranks as one of the world’s best. London is known for its many restaurants, cafes, night clubs, and pubs. Young people will be happy to know that youth culture is extremely dominant in Britain. This is proven by the many parties that go on there each and every night. There are plenty of museums, architecture, interesting landmarks, and theaters to make the most of an arts lover’s free time. For instance, the theater district in London rivals Broadway’s, and many of the museums in London are free of charge. Even walking the streets can be a tremendous treat as there are so many landmarks. London has a reputation for being extremely cosmopolitan. Many expats find out quickly that most of the people in London are not native to this city, but come from many places around the world. The cost of living in Britain is among the highest in the world. The reason for this is the strength of the British Pound, the currency of Britain and the UK. The British Pound is twice as strong as the US dollar which means that prices are twice as much. Real estate costs and high taxes add to Britain’s cost of living. This makes it very difficult for foreigners who live on a fixed income or savings to live in Britain for a long period of time. British residents’ salaries are generally much higher than in the states, making the cost of living more affordable for them. Amusing blog from Monica, a slightly daft post-graduate student in London. Britain is an excellent destination for Europeans because of its proximity and the easy availability of cheap flights to London. It is also a popular destination for wealthy tourists and expats seeking to escape the depressing poverty and crime of portions of the Middle East and Asia. Britain should not be forgotten though, by Americans. It’s language, culture, and history can more than make up for how expensive it is due to the weakening American dollar.